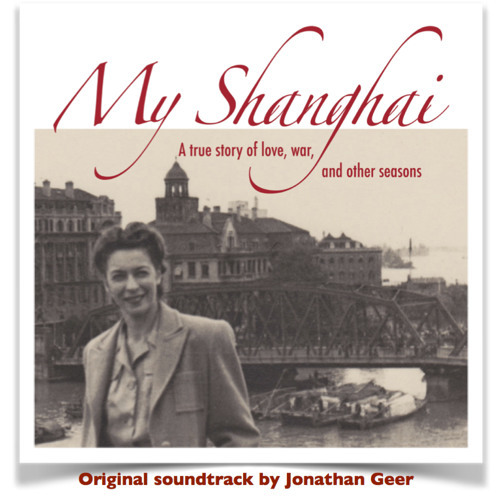 Featuring original music composed by Jonathan Geer for the documentary "My Shanghai", a film by P.H. Wells / First Straw Films. Performed by members of the acclaimed Austin Piazzolla Quintet, the intimate score evokes the life of Virginia Lumsdaine McCutcheon who grew up in 1930s Shanghai and was imprisoned by the Japanese during World War II. myshanghaifilm.com A native Texan, Jonathan Geer lives in Austin where he performs regularly with APQ and Waterloo Trio. jonathangeer.com released 15 July 2014 all music composed and produced by Jonathan Geer James Anderson, Violin Tony Rogers, Cello Phil Spencer, Bass	Jonathan Geer, Piano Mike Maddux, Accordion Adam Carney, Guitar recorded at Pot of Earth Studios in Austin, TX Copright 2014 - Pot of Earth Publishing All rights reserved. Unauthorized reproduction is a violation of applicable laws.